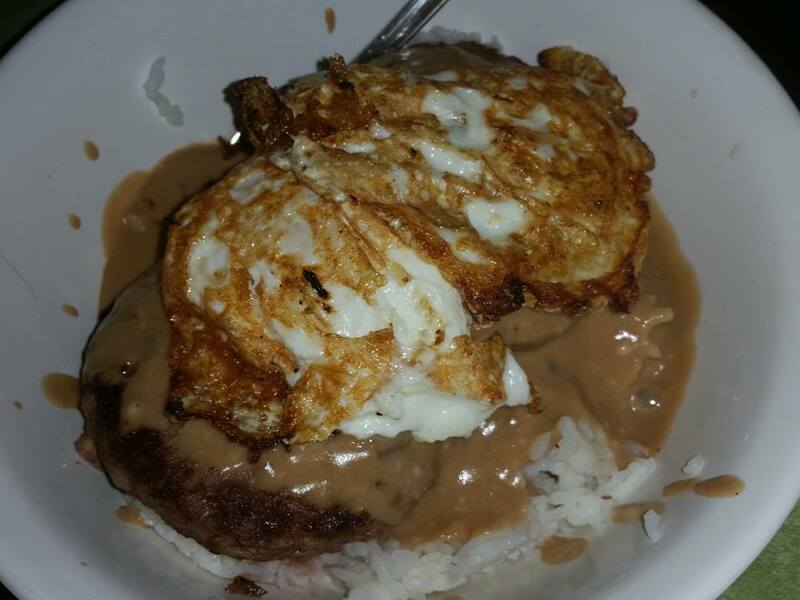 Rice, hamburger patties, over easy eggs and gravy. In all the places I’ve traveled I’ve never heard of this combination. Indeed it sounds like good comfort food.